When Facebook spun off its chat service into a separate app on mobile devices back in July 2014, they faced a lot of flak for fragmenting services. Although the Messenger app became popular for the video calling and chat head features, it was nevertheless a separate service, and it wasn’t very clear why Facebook had gone ahead with this move. Almost a year later, everything is now much clearer. Apparently, Facebook was looking at a long term plan on spinning off the Messenger service as a ‘platform’ of its own, available here. 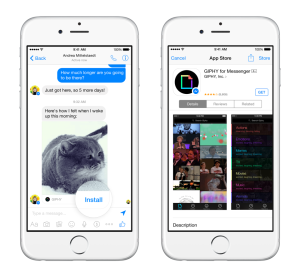 On March 25, Facebook revealed the Messenger Platform and Businesses on Messenger, which basically allows developers to integrate Facebook chat within their apps and services, plus develop addons for it. This will allow developers to use the existing Facebook chat infrastructure, and enhance business to consumer interaction. 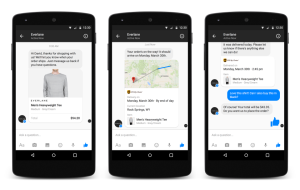 Think of something on the lines of an e-commerce website telling you where your order is, on Messenger. So instead of just interacting with friends and other people, you will soon be able to interact with organizations as well, and get personalized updates. Combine this with the ability to use apps on Messenger, and you’ve got yourself quite a robust all-in-one messaging platform. The Facebook Messenger Web reveal now makes much more sense, and even though is quite basic right now, will probably build into a much more feature rich platform down the line. As of now it’s pretty simple. You login to the Facebook Messenger website from your PC, and you can chat with all your friends, without seeing timelines, updates or the news feed. Think of it as a desktop version of the app, albeit with lesser features. You can still chat on the main Facebook page, but we wouldn’t be surprised if Facebook decides to redirect chat to this website sometime in the future. So if you use Facebook mainly to chat with friends and aren’t too bothered about the other aspects, you’d probably love this! But then again, there’s the very real possibility of you being forced to use it to chat sometime in the future, like how the Messenger app was separated from the Facebook mobile app. Is this something you’d love or hate? Let us know what you think!